Before and After Alexander is an invaluable addition to our understanding of this historic figure's legacy, as Billows challenges the myth of Alexander the Great as a pioneer and visionary. He argues that the real credit lies with Philip II and the generals who came after Alexander, and reveals just how complex and multifaceted were the foundations on which our modern civilisation was built. Alexander the Great's life, career and achievements have been written about extensively, and he is famed for his strategic vision and tactical prowess - but was he truly the great hero of history we know him as? 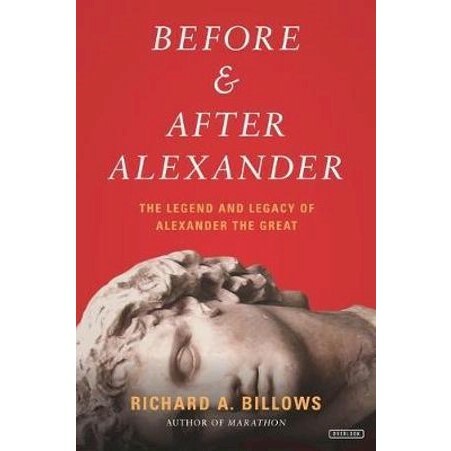 In this book, the eminent scholar Richard A. Billows reassesses the legend by delving deeper into the lesser known periods before and after Alexander's reign. A mere two decades before Alexander's accession, Macedonia was a disorganized backwater, overshadowed by Athens, Sparta and Persia. It was Alexander's father, Philip II, who shaped it into the greatest power of its time by building a new type of army and style of warfare, uniting the country and providing his son with the groundwork for Alexander's career of conquest. As king, Alexander led an unprecedented military campaign through Asia and Africa, defeating some of the world's most powerful armies and creating one of the largest empires in history. However, in leaving no clear successor upon his death, the empire Alexander governed so briefly threatened to descend once again into instability. It fell to his generals to rule a vast territory stretching from Greece to India, and it was they who transformed it into the great Hellenistic empire.